Thanks to Keith and Robbi at Blue Dawn Kennels I have a new 2014 FC in the short time she has been on the FT circuit. Last edited by Hunter on Sun Mar 30, 2014 5:32 pm, edited 1 time in total. Congrats Jerry! Good looking girl. Congrats! I have seen her run and she is a nice one! I have watch her many times. She has style plus and the ground speed you are looking for. You are one very lucky person, congratulations. Congratulations! She has an impressive record. Beating 43 dogs at the German Shorthaired Pointer Club of Nebraska trial? That is doing something! A very nice dog indeed! 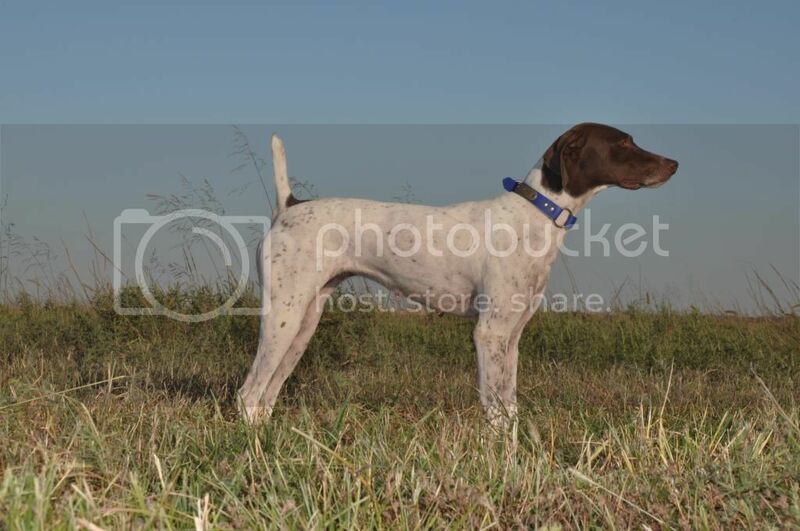 Love her look - from the shape of her head, to the high tail set - great GSP specimen! Very nice pedigree as well.....the genetics came together in this one!! Congratulations to you and BDK!! Breathing in and tasting the gentle breeze. All the training, the hard work.....it really has paid off. Thanks to all, looking forward to running her this weekend at the KC trial and then at the Great Plains Championship, should be a good time. 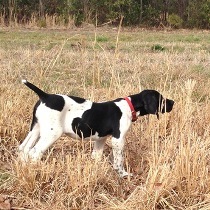 Just got back from the GSP Heart of America trial in Cameron MO and had one of those weekends to remember. My Dog Allie on Friday won a 4 point major OLGD with 20 dogs, handled and scouted by Keith and Robbi Gulledge of BDK. On Saturday she went RU in a 5 point major AGD with 28 dogs and followed that up Sunday winning a 4 point ALGD with 22 dogs, both amt stakes ran by me and scouted by long time traveling buddy Sean Hauser. The last two weekends she has won 3 majors and took RU in another, the month of March has been fun to say the least. Thanks to BDK for having her ready to go this early spring season and to Sean Hauser helping get her around the course as scout as this was the first time I have been able to run her myself in a actual trial in a long time, almost forgot how. She's a very nice dog! That trial was a lot of fun and it was nice to meet so many friendly people! Good luck with her on down the line!